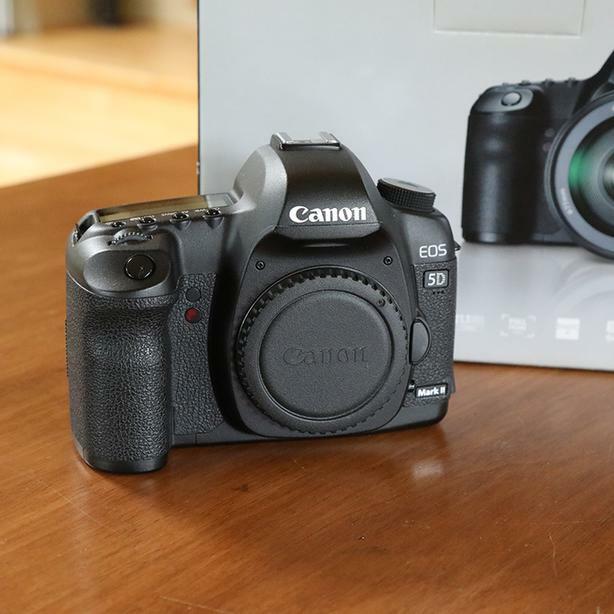 Canon 5D Mark 2 - less than 50 K actuations on 150 K rated shutter. Comes with everything originally in the box and a 90 mm F2.5 Tamron SP manual focus Macro lens in perfect condition- it is manual focus only but a sweet lens - awesome for video and or Macro.. Will consider offers over $500. for body only firm on $500. if lens included.